We left John Brown on May 23, 1856. He had news of the fall of Lawrence and probably the caning of Charles Sumner. Convinced that someone must do something, and likely also that free state families now remained around Osawatomie at some peril, Brown resolved that something must be done. He went off and asked a man named James Hanway to come along for that something. Hanway told us that Brown informed him about what he had in mind, though he doesn’t say clearly if Brown mentioned murder or if he just made a general reference to some kind of reprisal. Either way, it sounds like Brown approached him personally and at least somewhat in private. On the balance, that seems the most likely version of events. Salmon Brown told a different story, which will bear a look. The general purport of our intentions -some radical retaliatory measure – some killing- was well understood by the whole camp. You never heard such cheering as when we started out. They were wild with excitement and enthusiasm. The principal man -the leader- in council that resolved on the necessity of Pottawatomie, -was H.H. Williams: I do not know that I ought to tell this since he himself has not; but it is the fact. He was wholly determined that the thing must be done. He knew all those men on the Pottawatomie, better than any of us. He lived among them -was familiar with all their characters. he was now the most active of us all in urging this step. And not fifteen minutes before we left to go to Pottawatomie I saw him, myself, write out a list of the men who were to be killed and hand it to father. One should view a statement by a participant decades later in the vein of everyone sharing in his crime and casting the real instigator as someone else with a mine or two of salt. Salmon has an obvious interest in vindicating himself and his martyred father. Spreading the blame around at least makes them less singular militants and more of their times. It paints the coming murders as something in the air, which anybody might do. As such, could one really hold them responsible? Or rather, might one view them as acting in the right? Then, when it was all over, and he found out how the people down at home took it, he got scared. He hadn’t the backbone to stand by his own mind, against popular opinion, -he went back on his own radical measures, weakened, did not confess to his own share in their origin, and counselled peace. In fact, he got scared. Salmon paints an intensely unflattering picture of Williams. One can’t read him and fail to imagine some after the fact score settling. But that still leaves us with two different versions of what went on at the Rifles’ camp that day. In Hanway’s, John Brown recruits people individually and tells them what he means to do. In Salmon’s, everyone in the camp understands that Brown meant murder from the get-go. On May 25, 1856, the Pottawatomie Rifles and associated free state militia companies learned of Lawrence’s surrender and sack. After some discussion, they agreed to disperse to their homes. It probably helped that the United States Army arrived with orders to get every militant on hand back where they belonged, instead of gathered up and ready to start a little war. On the way back to Osawatomie, John Brown Junior lost his captaincy of the Rifles on the grounds that he freed a pair of slaves, which no one much liked, and that his father killed five people. That brings him up to May 27, with his father largely unaccounted for in that time. The version he gave his family via letter tells us little more. On the way home they stopped three proslavery men, who they released sans horses. This happened on the morning of the departure, but before Brown and his small band left; Jason remained with the Rifles. Brown must have decided on some kind of action before leaving, as he went recruiting. James Hanway, one of the Rifles, has a statement on that in Sanborn’s Life and Letters of John Brown. A messenger came into camp, Hanway thinks one of Grant’s sons, and told that proslavery men had gone around Pottawatomie making a new round of threats against the free staters. That would match George Grant’s statement well enough; the news might have come directly from the threat to Squire Morse. 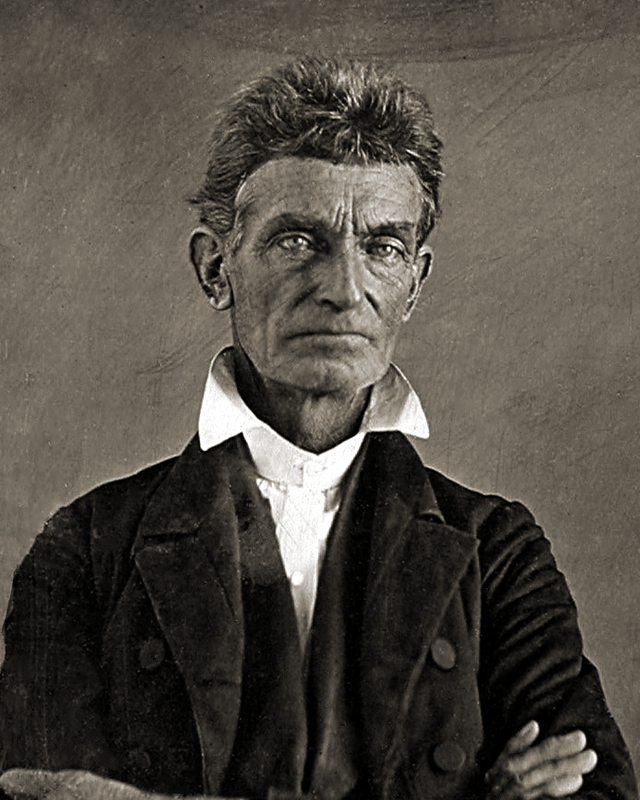 Old John Brown, who had a firm belief that Providence directed his steps in all undertakings, immediately raised a small party of men, and visited those who had been the instigators of this threatening movement. I think it was May 23, about two P.M., that John Brown and his party left our camp. When Brown was packing up his camp kettles, etc., at Middle Ottawa Creek, I was invited to become one of the party, by one of the eight who formed the company. I was informed at the time of the purpose of the expedition, and the necessity there was to carry out the programme. Hanway took a pass and might have spoken with the benefit of hindsight, but it doesn’t strain credulity to imagine Brown spoke openly of violent reprisals against proslavery men. He had to have a sympathetic audience in a group literally formed to fight for a free Kansas, particularly if they just then also had news of Charles Sumner’s caning to further outrage them, as Salmon Brown thinks they did. Salmon didn’t know for sure, decades after the fact, but news could have reached Kansas via telegraph by that point and the company seems to have had regular messengers in and out of camp to bring it to them. A small personal note, Gentle Readers: I’ve just had my second appearance on the AskHistorians Podcast, talking about Charles Sumner. If you think all of this would be better without having to read my prose or just want my soothing words to delight you, it’s available here, via Youtube, or on Spotify. As before, I promise to use my fame mostly responsibly. 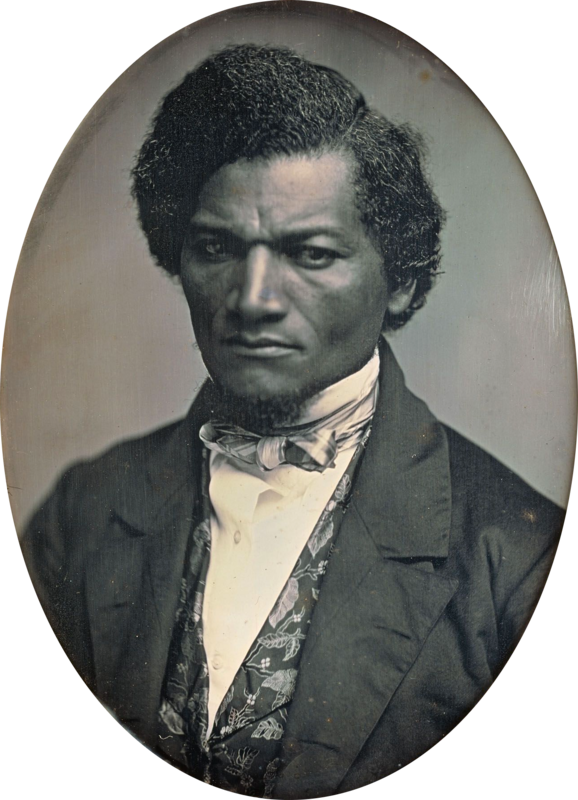 John Brown vented himself to Frederick Douglass about the Kansas-Nebraska Act in a letter. He asked that Douglas refine his prose and make it available to the general public; someone had to talk good sense into white Americans. Douglas obliged by printing the letter in his paper. There Brown’s words joined the tide of outrage against repealing the Missouri Compromise. He could read the indignation of others from Horace Greeley’s paper, to which Brown subscribed, and probably hear it on most streets in the North at least for a while. Everyone understood that the future of Kansas now hung in the balance. Proslavery and antislavery whites would collide there and to the victor might go the nation. Brown must not have enjoyed the news any better for expressing himself in the papers, but his many debts from the wool business preoccupied him. His surviving letters from the time don’t mention Kansas further. Instead he laments the drought, which claimed the crops he hoped would clear his obligations. Brown hadn’t suffered as badly as some of his neighbors, and suspected they might help themselves to his fruit crop, but the Kansas fever did not strike him at first. If you or any of my family are disposed to go to Kansas or Nebraska, with a view to help defeat Satan and his legions in that direction, I have not a word to say; but I feel committed to operate in another part of the field. If I were not so committed, I would be on my way this fall. In other words, Brown still dreamed of the Adirondacks and the black colony Gerrit Smith set up there. An in-law of Brown’s, Samuel Adair, already aimed to go so the Brown boys would have a friendly face on the frontier. He had made promises to Smith and to the black community. He felt at home and at peace in North Elba. John Brown couldn’t turn away. Gerrit Smith wishes me to go back to North Elba; from Douglass and Dr. McCune Smith I have not yet heard. as more likely to benefit the colored people on the whole than to return with them to N. Elba. As I volunteered in their services; they should have a right to vote, as to course I should take. Caught in a genuine dilemma, unsure of what he should do, John Brown believed that his black neighbors should have perhaps the controlling say in the further course of his life. He, in his own words, gave them a vote. Without it, he doesn’t sound at all inclined to give up on his commitment to them. We left Charles Sumner again putting Washington City behind him; he took his oath for a second term in the Senate and then his leave. He came to defeat a tariff, did that, and went away again. Though he had physically healed, Sumner remained still weak and found even his brief time in the Senate trying. Given he returned to the scene of his torment, it can’t have helped his mental health either. The Senator confided to E.L. Pierce, compiler of his Memoir and Letters, from which I have gotten many recent quotations, that he meant to depart for Europe at the end of the then-present session of Congress anyway. Sumner came up to New York City, arriving on March 6, 1857. He stayed with John Jay, the son of the founder. The Fremonts, late presidential losers, called upon him there. The next day, Sumner quit the continent. Well-wishers saw him off from the dock and a Republican club fired off a thirty-one gun salute. Sumner left behind two letters. A brief note thanked the governor and legislature of Vermont for passing resolutions in his honor. The other letter went off to James Redpath, a reporter in Kansas. Almost a year had gone by since the capture of the free state leadership at the sack of Lawrence. The struggle had gone on. Sumner had kept up with the news out of the nation’s troubled territory, but he wrote long on generalities. He reaffirmed his opposition to slavery, as if anyone would doubt it, and hoped Massachusetts would see fit to help Kansas in his absence. I trust, also, that the people of Kansas will stand firm, and that, if need be, they will know how to die for Freedom. Do any sigh for a Thermopylae? They have it in Kansas, for there is to be fought the great battle between Freedom and Slavery, -by the ballot-box, I trust; but I do not forget that all who destroy the ballot-box madly invoke the cartridge-box. I have a friend who studies ancient Greek warfare and sighs every time Thermopylae comes up. Popular culture, in Sumner’s time and now, remembers it as a desperate, heroic stand for Greek freedom against Persian tyranny. The heroes of the day come in the form of three hundred Spartans, slaughtered to a man. Their more numerous allies don’t get mentioned much. You may recall a film adaptation of a not particularly good comic on the subject from about ten years ago, starring Spartans in their traditional garb of an opera cape and a furry speedo. The symbolism of a patriotic army defending its home from foreign invaders remains apt for Kansas. The details, particularly how the Spartans and their allies lost the battle, Sumner had to know from his education in Classics. Redpath may not have, or he and Sumner might both have felt the popular symbolism took precedence over historical accuracy. The Senator meant to cast antislavery Kansans as embattled defenders of freedom, not give them a close lesson on ancient history. Preston Brooks accomplished many things by breaking his cane over Charles Sumner’s head. He vindicated South Carolina and his elderly relative. He vented his personal rage. He had the great satisfaction of seeing a hated enemy prostrate. He won the acclaim of his constituents and his section. Gifts of canes flooded the mail. Brooks also saved Sumner’s career in the Senate. The coalition that elected him back in 1851 fell apart soon after. Both ambitious Republicans and Massachusetts’ governor angled to replace Sumner. His protracted disability could have sealed the deal, a fact which Sumner keenly appreciated, but instead the public outpouring of sympathy and the able politicking of the Bird Club of antislavery men kept him a Senator. He would ultimately die in office. Sumner’s physical recovery progressed over the months. He looked healthier now, putting on some weight courtesy of all the bed rest, and seemed of sound mind again. As at Cresson, Sumner rode often for exercise, though he still struggled to walk even with a cane and mental exertion tired him greatly. His doctors advised him to go to Europe for a prolonged vacation. Instead, Sumner went to Washington, arriving late on February 25. The session would only last until March 4, but he made it. Gentle Readers, if you recall John McCain’s return to the Senate this past fall after his cancer diagnosis you might know that he received warm applause from both parties. Antebellum Washington had its own gentleman’s club atmosphere, with politicians often socializing warmly in private whilst castigating one another in public. You might expect Sumner to get the same kind of welcome. The Republicans obliged, but the Democracy ignored him. Sumner came back for a reason, beyond just showing himself. The Senate then considered a tariff that would cut the rates on raw materials. New England manufacturers wanted it badly. Sumner did not. The bill came to a vote and Sumner returned despite the strain, casting several votes between nine at night and two in the morning. I have sat in my seat only on one day. After a short time the torment to my system became great, and a cloud began to gather over my brain. I tottered out and took to my bed. I long to speak, but I cannot. Sorrowfully I resign myself to my condition. […] my own daily experience, while satisfying me of my improvement, shows the subtle and complete overthrow of my powers organically, from which I can hope to recover only most slowly. What I can say must stand adjourned to another day. Nobody can regret this so much as myself. Sumner took his oath of office for the new term on March 4, at the start of the special session to confirm James Buchanan’s nominees. He quit Washington again rather than stay on for that. Charles Sumner gave up convalescence at Cresson, Pennsylvania, and returned to Philadelphia. There he received bad news yet again: his doctor believed that Sumner must refrain from any physical or mental excitement if he wanted to live. Sumner kept up an active correspondence, but refused invitations to attend public meetings. Delivering a speech, especially to a crowd and in his customary style, might well be beyond his ability. A public failure like that would not have done much for his fragile mental and physical state. Sumner may have stayed in Philadelphia for longer, but Anson Burlingame looked poised to lose re-election. Sumner did not approve at all of his accepting Brooks’ challenge, but already at Cresson he received the Congressman with obvious affection for the benefit of the reporters on hand. When that, plus a public letter of support, did not seem adequate, Sumner returned to Boston. Ostensibly he came for a grand reception, but really to campaign. Though he did decline the banquet offered, Sumner had to muddle through the rest. On November 3, the festivities began with Sumner driven from Longfellow’s home to that of Amos Lawrence, benefactor of the Emigrant Aid Society and longtime foe of the Senator’s. There Sumner received a plethora of guests in the afternoon, who came up from the State House in eighteen carriages. They in due course put him into an open carriage and escorted him to the Boston city line. There, in 1824, Josiah Quincy met the aged Lafayette on his return tour of the United States. Now, the aged Josiah Quincy met Sumner. Quincy praised Sumner at length before a crowd of seven hundred, closing with thanks to Heaven for keeping him around long enough to see the day. Sumner, still in his carriage, leaned forward and appeared greatly moved. The powerful voice necessary for an orator in the age before microphones and speakers, failed Sumner. Appearing “haggard and careworn, with languid eye and pale cheek,” he spoke briefly. The Senator called his suffering “not small” but he did it for duty’s sake and it paled before what the good people of Kansas still endured. Then the show continued, with Sumner transferred to a new carriage drawn by six gray horses, joining the mayor of Boston and Quincy for a half-mile procession through cheering crowds and beneath banners hung to welcome him. The crowd might have grown to seven thousand, packing the streets, hanging from windows, and standing on rooftops to get a look at their hero. Men, women, and children through bouquets into the carriage. Governor Gardner welcomed Sumner to the State House with a consciously apolitical speech. All Massachusetts stood with their maimed Senator, just not necessarily on matters of policy. Sumner had a proper speech ready to go in response, but he only managed a few lines before his endurance gave out. He had somewhat more after Quincy spoke, but between that, all the crowds, and movement, Sumner had had enough. He passed the copy to reporters on hand for printing. We left Charles Sumner at a health spa up in the Alleghenies. There he continued to struggle with his recovery, but seemed at last on a slow mend. He looked forward to some time home in Massachusetts, though not the grand reception he expected. Sumner usually enjoyed the public eye, so his dread of it now speaks volumes to his state of mind. Walking still strained him and mental exertion gave him headaches. as tho’ the blows were raining upon his head again; then will feel a numbness in the scalp; then again acute pains; then a sense of exhaustion that prevents any physical or mental effort. I sometimes am led to apprehend that I may yet be doomed to that heaviest of all afflictions, to spend my time on earth in a living sepulcher. George Sumner didn’t help matters by talking about cases of mental illness he observed in Parisian hospitals. Way to go, George. Dr. Wister, of Philadelphia, told Sumner that he couldn’t comment on whether the Senator suffered a brain “deranged organically or only functionally.” A functional disorder, someone might recover from. Actual brain injury? Maybe not. Sumner probably suffered both. He also became preoccupied with his symptoms, for which one can hardly blame him. Every time he fell short of his expectations, his body reinforced his fears. Eventually, Sumner could take no more of the spa at Cresson. He wanted more engaging surroundings that could get his mind off his debilitated state and left, against the advice of the doctor there. Leaving took him back to Philadelphia and Dr. Wister. Once again he seems to have improved briefly, but then relapsed. He later wrote to the spa’s physician that he left too soon. Come the end of September, Dr. Perry examined Sumner again and found his frailty largely unchanged. As before, he believed the Senator could not take much stress at all if he hoped to keep his life. 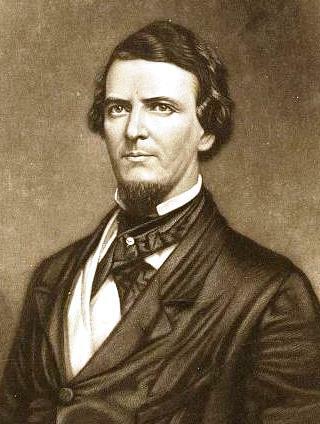 Charles Sumner declined to take any further part in Preston Brooks’ prosecution than grand jury testimony; he did not consider himself at all well. The psychological strain of revisiting the attack constantly, perhaps even in Brooks’ presence, can’t have appealed even when he felt physically better and Sumner rarely felt that. Visitors described him as a man much enfeebled, who may not make it. Francis Blair’s home in Silver Springs gave him some relief from Washington’s summer heat, but it remained close enough for a steady steam of visitors that further exhausted the Senator. On July 5, Sumner returned to Washington City to put his affairs in order before departing for less demanding climes. That prompted a fresh bout of visitors, including both antislavery luminaries and members of the diplomatic corps. Edward L. Pierce’s Memoir and Letters of Charles Sumner relates that the only administration men, excepting Lewis Cass who Sumner once befriended in Europe, stayed away. The parade of well-wishers can’t have helped, but Sumner left the city on July 7, staying the night in Baltimore before proceeding on to Philadelphia and Dr. Caspar Wister. At the time, Sumner expected to return to the Senate in August. A condition of extreme nervous exhaustion, his circulation feeble, and in fact every vital power alarmingly sunken. At that time his steps were feeble and tottering, as if in extreme old age; he complained of constant pain in the back and lower extremities, -in the latter it was a tired and weary sensation and he had a sense of construction and pressure about the head. At that time his pulse was quick and small, appetite language, and his sleep broken, disturbed, and unrefreshing. All the above conditions were heightened by exertion either mental or physical. Wister recommended Sumner go to Cape May for relaxation. He spent a week there, improving, but then suffered another relapse. On July 22, he wrote to Giddings that he might resign his seat. Sumner still wanted to come back and resume his duties, but clearly doubted that he could. He abandoned Cape May for a health resort at Cresson, Pennsylvania. There, but he managed a daily ride on horseback, though he still struggled with walking. By mid-August, he could write -again to Giddings- that he hoped “to do good service in the coming campaign” for the presidency. 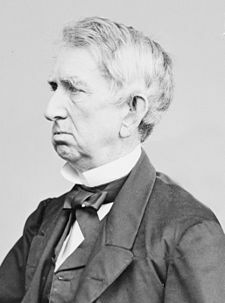 The Republicans nominated John C. Fremont in June, with a sympathy vote going to Sumner for vice-president. but I ride on horseback, converse, read, write letters, and hope soon to be in working condition, though I fear that a perfect prudence would keep me from all public effort for some months to come. Walking still exhausted him, but Sumner felt on the mend. He expected to return to Massachusetts soon, but dreaded the inevitable public welcome. He would rather “slip into Massachusetts, run about for a few days” and then maybe get on the stump. 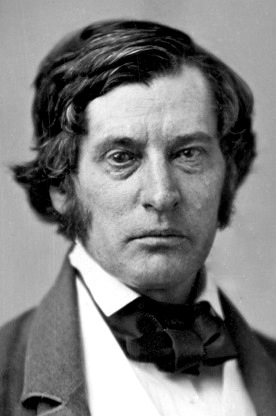 Charles Sumner ended May of 1856 in a poor state. His head wound became infected, but after his doctors let the pus drain Sumner improved. Then he took a further plunge, likely courtesy of various complications from the wound and the infection. His extended convalescence threw suspicion on him from points South. Surely the Senator played for sympathy; no one suffered so badly from a few light blows which he had coming. 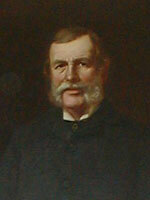 The dismissal of Sumner’s original doctor, Cornelius Boyle, added fuel to that speculation. On the other side of the partisan divide Republicans believed that Boyle soft-pedaled Sumner’s diagnosis on purpose, citing his personal friendship with Preston Brooks. For nearly four weeks I lay twenty-two hours out of the twenty-four on my back; and I am still very feeble, but able to totter a mile round the garden, and hoping daily for strength, which comes slowly. He is much changed for the worse. His elasticity and vigor are gone. He walks, and in every way moves, like a man who has not altogether recovered from a paralysis, or like a man whose sight is dimmed, and his limbs stiffened with age. His conversation, however, was like that of his season of better health. It turned altogether on what the Senate were doing, and the course of conduct, and debate therein. When he spoke of his health, he said he thought he was getting better now; but his vivacity of spirit and his impatience for study are gone. It is impossible to regard him without apprehension. I have suffered a relapse, by which I am enfeebled, and also admonished against exertion. Being out of town, I have not had an opportunity of consulting my attending physician; but a skillful medical friend, who has visited me here, earnestly insists that I cannot attend Court for some time without peril to my health. Key must not have got the hint, because he wrote again and Sumner had to answer a second time explaining that he wanted “nothing to do, directly or indirectly” with the prosecution. The Senator thought he had done enough by coming in and testifying for the grand jury. He needed to tend to his recovery. Without Sumner, the Brooks trial went on. For assaulting a Senator on the floor of the United States Senate, he received a fine of $300.